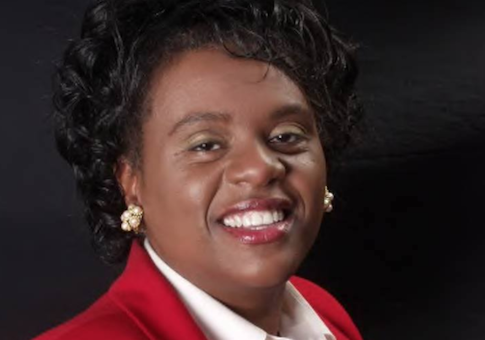 A former Virginia Democratic congressional candidate was charged with fraud on Wednesday for stealing from a government program meant to help children from low-income households. The 2016 candidate, Shaun Brown, was charged with wire fraud and theft of government property, the Daily Press reported. If convicted, Brown could face a penalty of 20 years in prison. Brown was unsuccessful in her run for Congress, losing in the 2nd Congressional District race to Republican Rep. Scott Taylor (Va.) by 23 percentage points. The former candidate has been accused of submitting fake paperwork for the JOBS Community Outreach Development Corp’s Summer Food Service Program that provides free lunches through the Department of Agriculture for children from low-income households. She maintains her innocence and claims she never directed her staff to falsify documents to inflate the number of children being fed in order to obtain addition money. Brown is suing the Department of Agriculture, the state Department of Health, and several other offices for discriminating against her and the organization she co-founded with her mother. The Washington Times notes Brown is also suing the agency because she claims they falsified the documents. This entry was posted in Politics and tagged Fraud, Virginia. Bookmark the permalink.